Performances - David Ward-Steinman, D.M.A. Nov. 11, 2014--Raga for Winds was performed by the Indiana University Wind Ensemble under the direction of Stephen Pratt in the Musical Arts Center, Bloomington, featuring Nitish Kulkarni on tabla drums. Oct. 29, 2014--Taj Mahal was performed by the Indiana University Concert Orchestra under the direction of David Effron, Music Arts Center, Bloomington, featuring Nitish Kulkarni on tabla drums. Oct. 26, 2014--Jazz Concerto for Two Pianos and Drumset was performed at Alma College Music Dept. Benefit Concert at 4:00 pm; and at Central Michigan University, Staples Family Concert Hall Oct. 28 at 8:00 pm by Casey Robards and Anthony Patterson, pianos, and Dave Zerbe, drumset. July 30, 2014--Jazz Concerto for Two Pianos and Rhythm Section performed by Casey Robards and Anthony Patterson, pianists, with Charisse Tietjen, acoustic bass, and Fred Marderness, Drums. Bay View Music Festival, Festival Concert Series; Hall Auditorium, Bay View, Michigan, 8:00 pm. Feb. 25-Mar. 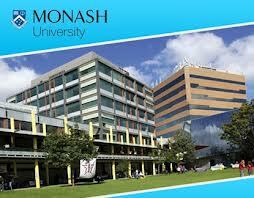 1, 2013—in residence at Monash University, Melbourne Australia (lecture, master class, curriculum consultant). Apr. 2, 2013--Summer Suite for oboe and piano, Capistrano Hall, Sacramento State University, CA; and Apr. 4, 2013 at Doc Rando Hall, Univ. of Nevada, Las Vegas; Stephen Caplan, oboe; Natsuki Fukusawa, piano. Also at the International Double Reed Society meeting, Univ. of Redlands, CA, late June. April 22, 2013—And Waken Green, song cycle for baritone and piano to poems by Douglas Worth; Joseph Mace, baritone, David Ward-Steinman, composer-pianist. North-South Consonance concert, St. Stephen's Church, New York. June 19, 2013—Scene-1 Duet from Love-Spiel, bilingual comic opera with libretto by Beaumont Glass. Indiana University Jacobs School of Music Summer Opera Workshop directed by Patricia Stiles. Emily Klink and Renée Albrecht, sopranos; Marcello Cormio, conductor. July 20, 2013—David and Patrice, solo keyboard and duets at Bloomington Airport hangar party, 6:00-8:00 PM. Dec. 1, 2013--Singapore Sonorama commissioned by the Philharmonic Winds of Singapore, Leonard Tan, conductor; Singapore, in Esplanade Concert Hall. Sept. 14, 2013—Nashville, IN. Patrice Madura Ward-Steinman and David Ward-Steinman played solo piano and piano duets at a fundraiser for the Brown County Art Guild. Sept. 28, 2013--A faculty recital of music by David Ward-Steinman at Indiana University included Night Winds for Woodwind Quintet performed by the Category Five Wind Quintet (Katie Morton, Natasha Wallin, Erik Franklin, Burke Anderson, and Matt Capone—all doubling on "exotic" instruments in addition to standard woodwind quintet instrumentation); Incantation and Dance for Alto Flute (Kathryn Lukas) and Fortified Piano (David Ward-Steinman), premiere; Skyline Dance for tabla drums (Nitish Kulkarni), piano (DW-S), and dancers (Maura Bell, Ellie Edwards, Grace Koury, Matthew Rusk, choreographed by Tyler Rhoads), premiere with tabla and dance. Five excerpts from Sheridan!, a new musical with book and lyrics by Robert S. Hatten, were presented for the first time by Anna Buck (sop. ), James Reynolds (ten. ), Daniel Lentz (bar. ), and Julian Morris (bass-bar.) with narration by Robert Hatten and accompaniment by David Ward-Steinman. The program concluded with an "Improvisation on Five Notes From the Audience" (DW-S, piano) and Lullaby for Iluka performed by Michael Linert (cello) and Kyle Hanson (piano). Oct. 5, 2013—"Will and George" duet from the comic opera Love-Spiel will be sung by Jordan Goodmon and Jocelyn Goodmon Hanson accompanied by Kyle Hanson, piano; Indiana University, Bloomington. November 5, 2013–The American premiere of Singapore Sonorama by the Indiana University Wind Ensemble under the direction of Stephen Pratt, Bloomington IN, Mac Auditorium. Jan. 23, 2012—premiere: Jewels for soprano and piano; Daniella Carvalho, soprano; Martin Hennessy, piano, Weill Recital Hall, Carnegie Hall, NY. Commissioned by Jeffrey Eckstein. Mar. 8, 2012—"... And Waken Green," song cycle to poems by Douglas Worth; Joe Stanford, baritone, Ruth Weber, piano. Palomar Performing Arts Concert Hour, Palomar College, Oceanside, CA. Apr. 24, 2012--Night Winds (1993) for Woodwind Quintet. I-Hsuan Hu, fl. ; Anna Bradford, ob. ; Erik Franklin, clar. ; Matt Capone, bsn. ; Burke Anderson, hn. Indiana University-Bloomington. June 20, 2012—workshop premiere: finale from "Love-Spiel," a bilingual comic opera in One Act (2011). Summer Opera Workshop, Indiana University-Bloomington, Patricial Stiles, Director; Marcello Cormio, Music Director; Matthew Latta, State Director; Alice Baldwin, piano2. Singers: David Rugger, Christine Buras, Anne Chester, Andrew LeVan, Nate Hill, Megan Hrabak, and Emily Blair. Nov. 14, 2012--VEGA for synthesizer and tape; video performance by David Ward-Steinman presented on Visual/Music concert by "seensound.com", LOOP Back Room, Melbourne, Australia. Jan. 29, 2011—Faculty Recital of music by David Ward-Steinman, Indiana University-Bloomington, including Improvisation on Notes from the Audience, Sonata for Piano Fortified (1972), Vespers for piano (2000), Childs Play for bassoon and piano (1968)—William Ludwig, bassoon; David Ward-Steinman, piano; selections from Children's Corner Revisited --Meredith Bonk, soprano, David Ward-Steinman, piano; Derry Airs—Rondo for Jazz Piano (2007); Skyline (2004), and What's Left--for the Left Hand alone (1987). June 11, 2011--Improvisations on Children's Songs, Erica Mineo, piano; Rolling Hills Estates CA. Oct. 20, 2011--Night Winds (1993) for Woodwind Quintet. College Music Society Nat'l. Conference, Richmond, VA. The Moran Woodwind Quintet: John Baily, fl. ; William McMullen, ob. ; Diane Barger, clar. ; Jeffrey McCray, bsn. ; Allan Mattingly, hn. December, 2011—Featured Contemporary Composer for the month, WFIU-FM radio. 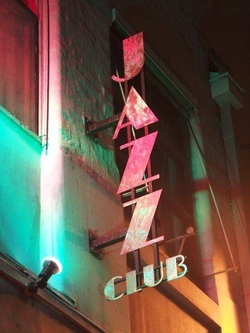 Feb. 23, 2010--Skyline for jazz piano, Bennett's Lane Jazz Club, Melbourne, Australia. David Ward-Steinman, piano. Mar. 15, 2010--Prisms and Reflections for piano; Skyline for jazz piano, Victorian College of the Arts, School of Music, Melbourne, Australia; David Ward-Steinman, piano. Mar. 19, 2010--Prisms and Reflections for piano; Skyline for jazz piano, Monash University, Melbourne, Australia; David Ward-Steinman, piano. Apr. 6, 2010--Scorpio for Wind Ensemble, Indiana University Wind Ensemble, Stephen W. Pratt, director. Indiana University, Bloomington. January 23, 2009, —Mingei International Museum in Balboa Park, San Diego, California: Songs of the Season and Bright Star performed by Laurinda Nikkel, soprano, and David Ward-Steinman, fortified piano; Incantation and Dance for Native American flute and Fortified Piano with Timothy Archambault on native American flute, then solo piano pieces by David Ward-Steinman Prisms and Reflections, Three Elegies and a Lullaby, ending with a jazz set of originals and improvisations on notes from the audience. January 24, 2009—San Diego State University, Smith Recital Hall: Summer Suite for Oboe & Piano (Donna Conaty, oboe; DW-S, piano); Bright Star for high voice and piano (Kellie Evans-O'Connor, sop. ; DW-S, piano) Intersections II: Borobudur for Fortified Piano and Percussion (John Flood, perc. ; David Ward-Steinman, fortified pianist), plus solo piano pieces and improvisations as above. January 25, 2009—Tifereth Israel Community Orchestra, David Amos, conductor; 1st United Methodist Church of Chula Vista, California. Includes premieres of two commissioned works, Taj Mahal ”Raga for Symphony Orchestra and Incantation and Dance for Native American Flute and Chamber Orchestra (Timothy Archambault, native Am. flute), plus Season's Greetings also by DW-S. In addition David Ward-Steinman will appear as piano soloist in Brent Heisinger's EKTA concerto for piano, Indian tabla, jazz rhythm section, percussion and strings. January 27, 2009—Tifereth Israel Synagogue, 6660 Cowles Mountain Blvd., San Diego. Same program as above. February 8--Cinnabar for Viola and Piano was performed by Christine Rutledge, viola, and David Gompper, piano, at the University of Iowa, Iowa City. November 20, 2009—Faculty Composition Recital, Ford-Crawford Hall, Jacobs School of Music, Indiana University, Bloomington, Indiana. © 2015, David Ward-Steinman. All Rights Reserved.